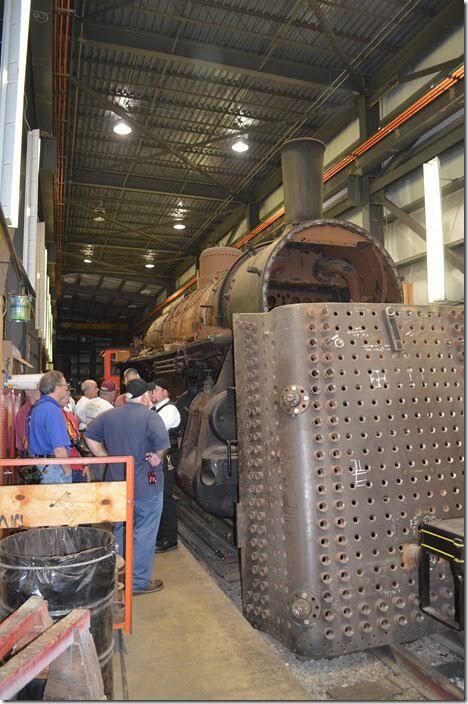 The early morning shop guided tour offered convention goers an opportunity to observe where Strasburg Railroad repairs and restores their vintage equipment. We convened Saturday morning at 9:00 AM at the parking lot. 1. SRR 2-10-0 Decapod 90 being readied for the days runs. Strasburg. 2. Coach 59 is ex-Boston & Maine built 1904 and restored 1998. 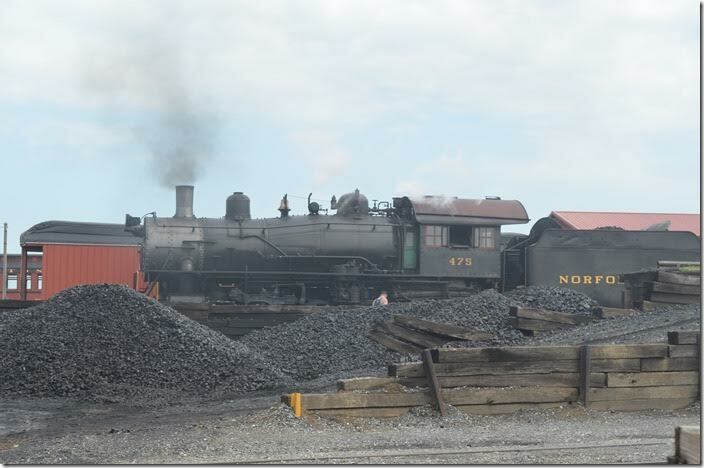 N&W 475 needs no introduction. Strasburg. 3. 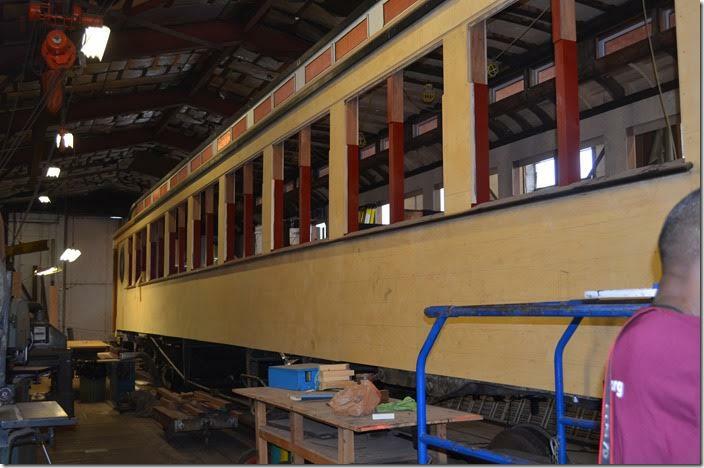 This former B&O coach was built in 1911 by AC&F and is currently under restoration. Ryan Merrill, in the black vest, is SRR’s trainmaster. He gave us an excellent tour. Strasburg. 4. 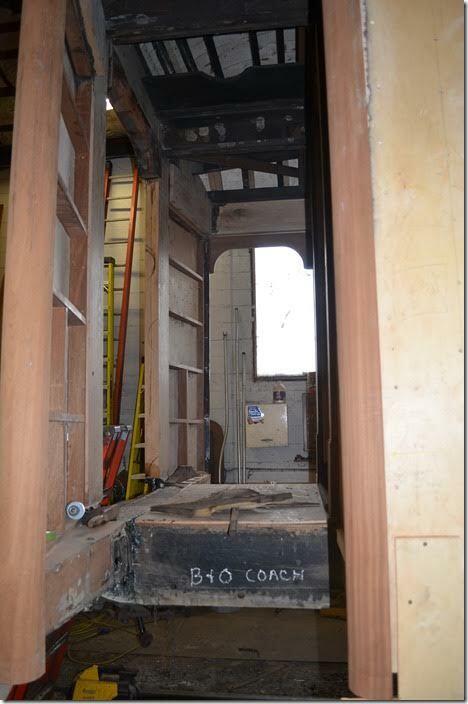 B&O coach. View 2. Strasburg. 5. B&O coach. View 3. Strasburg. 6. B&O coach. View 4. Strasburg. 7. 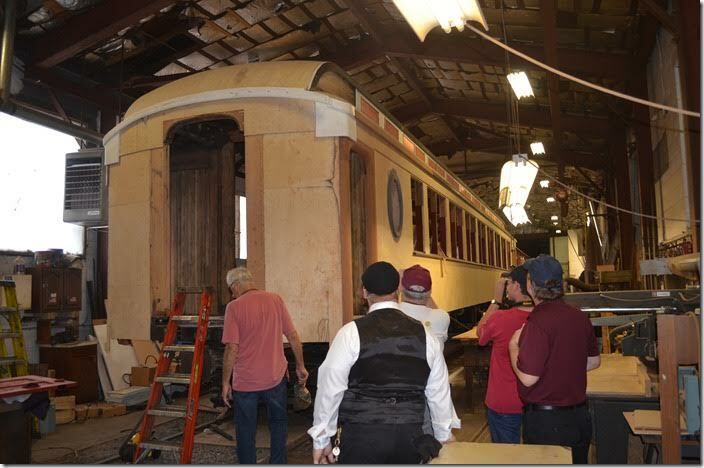 B&O coach. View 5. Strasburg. 8. Lancaster, Oxford & Southern railcar 10. 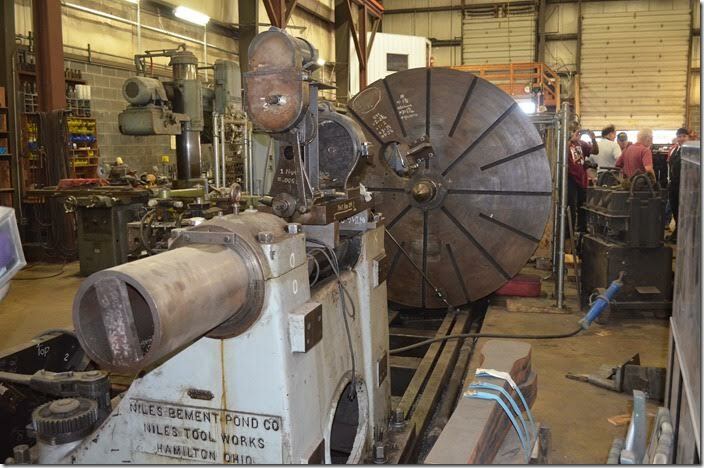 Built by Sanders Machine Shop in 1915. Acquired by SRR in 1962 and converted to diesel in 2009. Strasburg. 9. Rio Grande Southern 4-6-0 no. 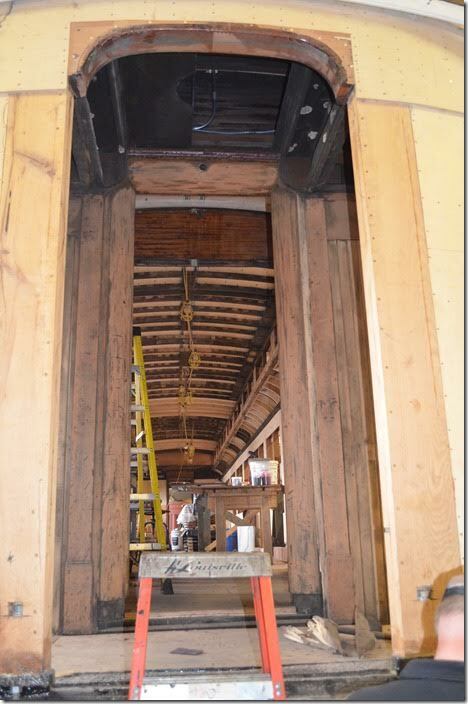 20 is undergoing restoration to active service. 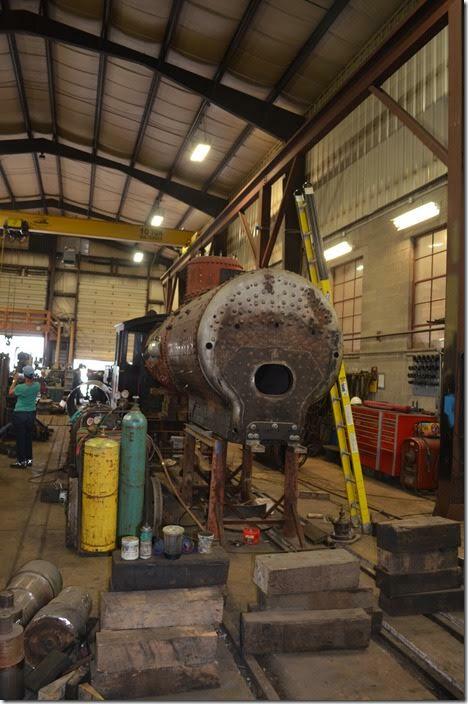 This loco (originally Florence & Cripple Creek) is owned by the Colorado Railroad Museum. 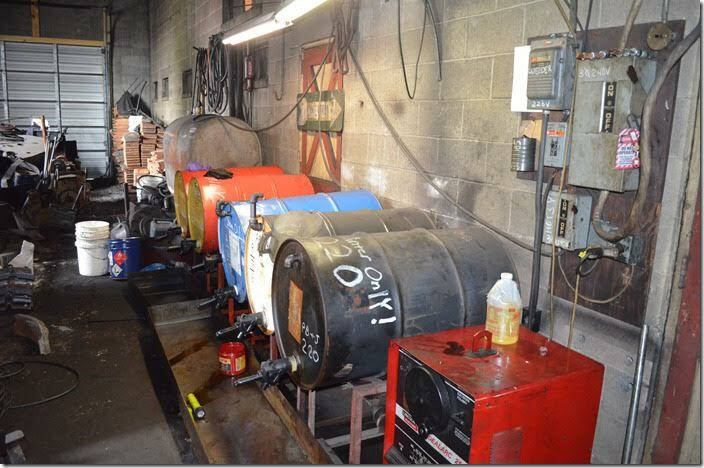 The boiler, shown here, was found to have previously undetected damage. Strasburg. 10. 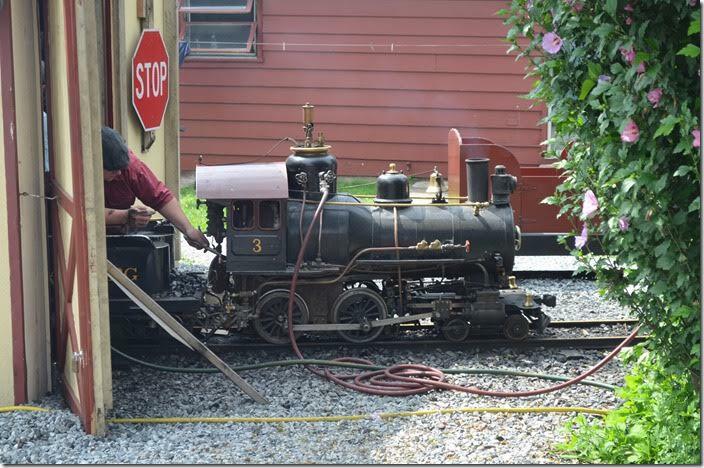 It takes an huge collection of tools to work on railroad equipment. 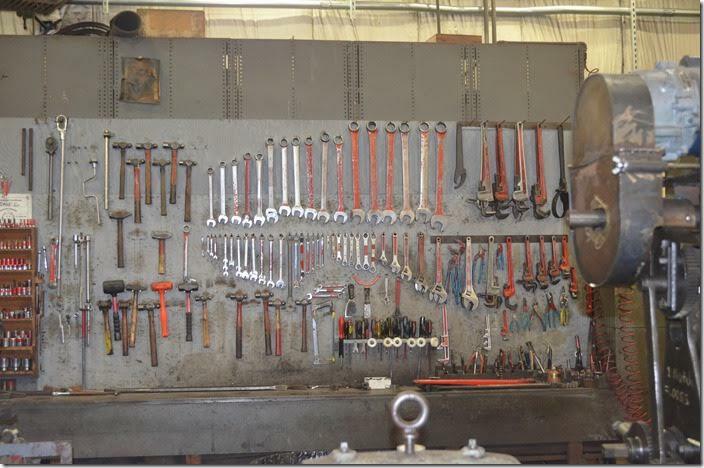 Strasburg shop tools. 12. SRR 0-6-0 no. 31 is ex-CN and GTW built ‘08 by BLW and acquired 1960. Originally CN 7312. SRR eliminated the “7” and “2” thus it became “31”. The firebox is for 2-6-0 no. 89, I think. 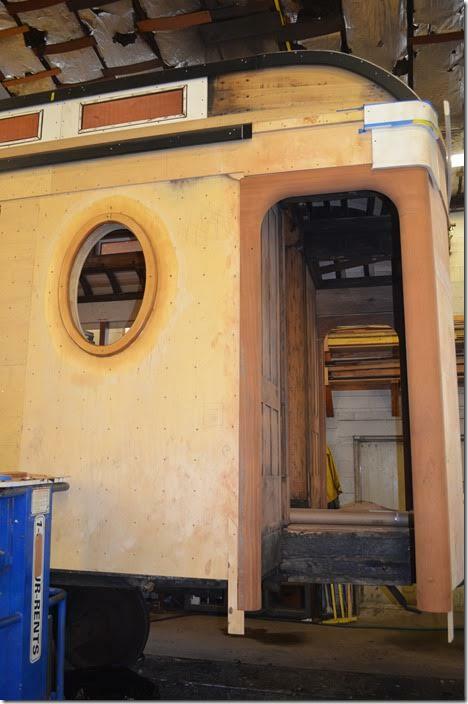 SRR 31 firebox. 14. Some smoke smells good! N&W 475. View 2. 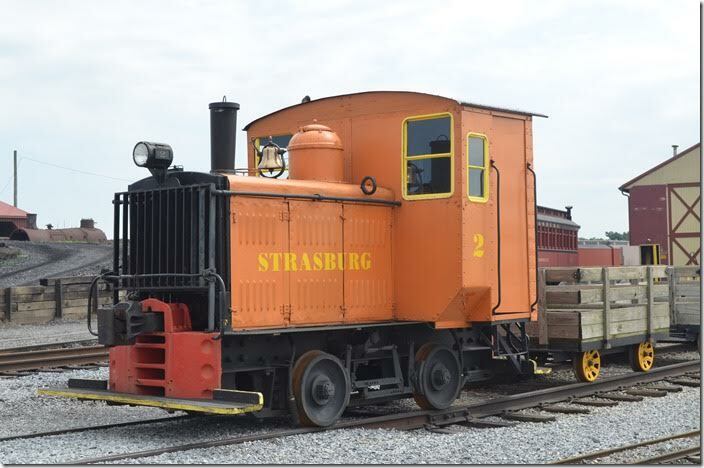 Strasburg. 15. Plymouth gasoline powered no. 2 built 1930 for Safe Harbor Water & Power. Acquired 1984. 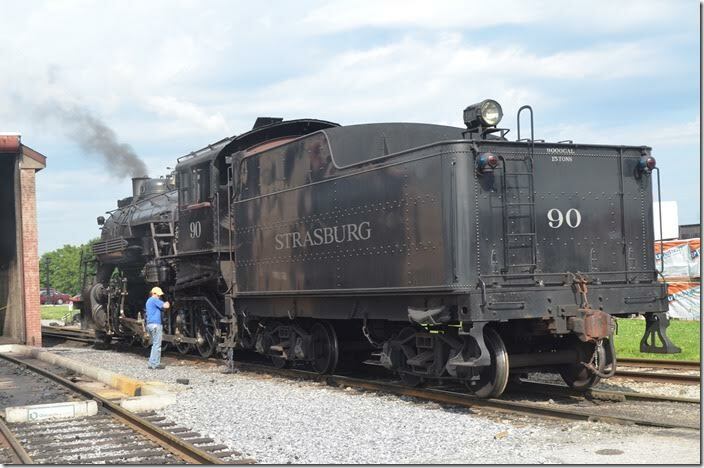 Strasburg 2. 17. 15” gauge 4-4-0 no. 3 being fired up for the day. No. 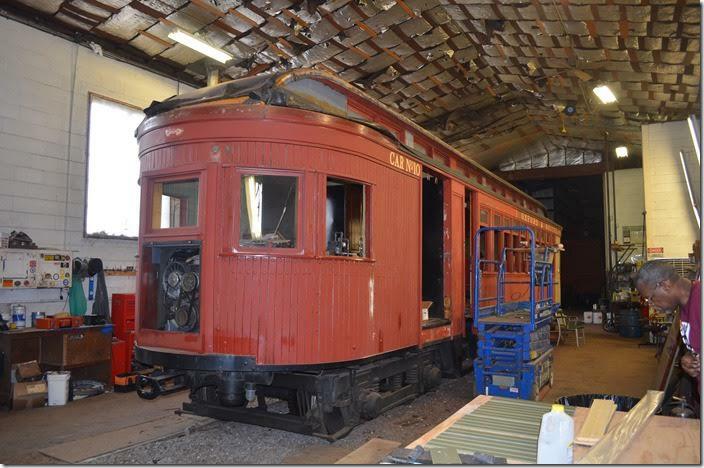 3 was built by Cagney in 1920 and acquired by SRR in 2003. It and the the two cars were believed to have been used at Coney Island amusement park in New York. 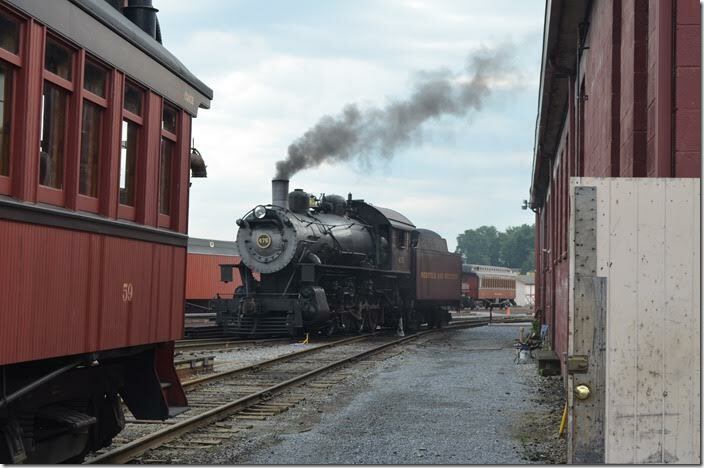 Strasburg 3. 18. 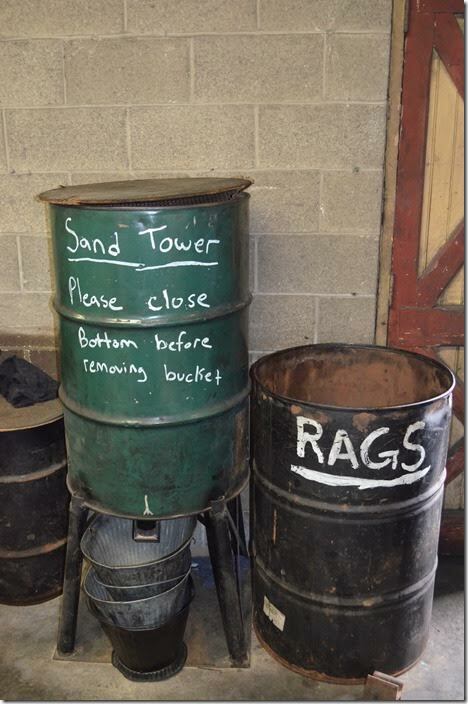 Strasburg’s high tech locomotive sand tower! 19. 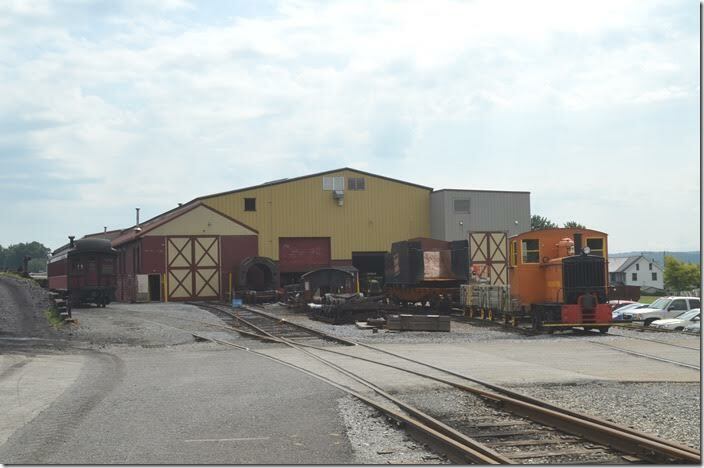 Strasburg has a huge stock of spare parts. 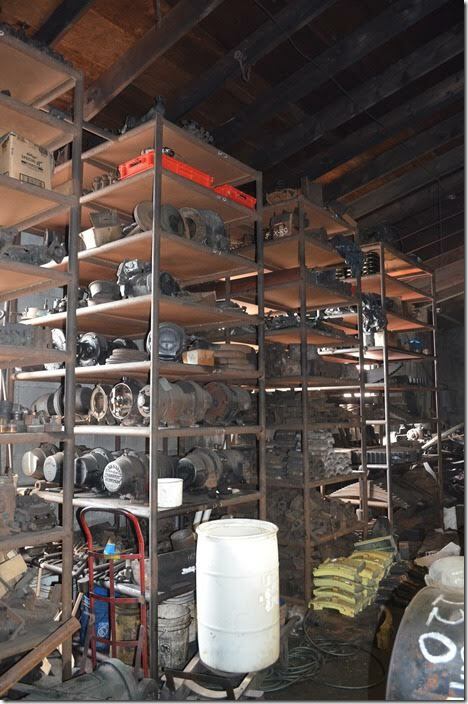 These valuable and rare items are often sold or traded to other railroads in need. 20. 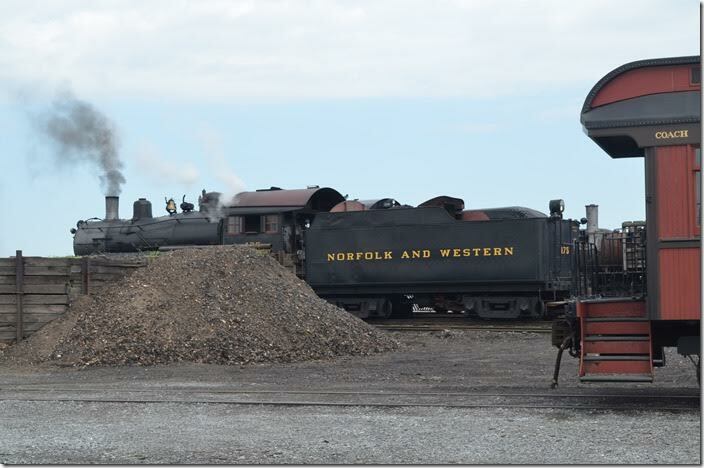 Steam locomotives need various types of oil. 21. 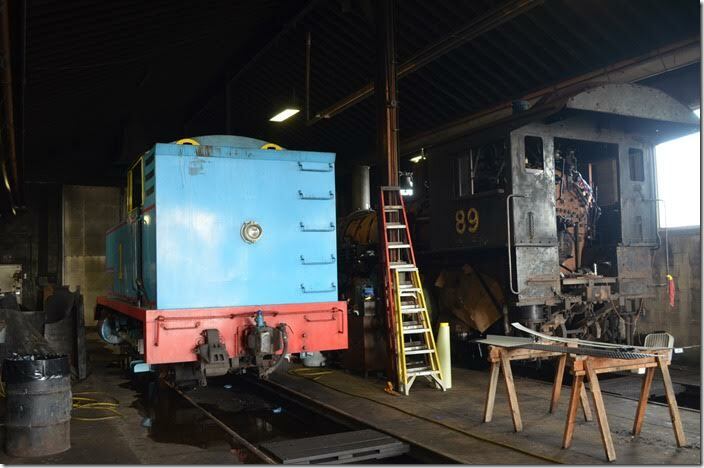 “Thomas” is fired up for special family events. 2nd no. 2 was built by H. K. Porter in 1917 as a 0-6-0T for Brooklyn Eastern District Terminal in New York. It was acquired in 1998. No. 89 is a 2-6-0 built in 1911 by the Canadian Loco. Works for the Grand Trunk/Canadian National. SRR has had it since 1972.